Dirt Connections specializes in Oakton, VA, delivering free fill dirt to commercial and residential construction sites. Our affordable and reliable Oakton, VA fill dirt delivery service can provide the fill dirt needed to complete any size residential or commercial project. 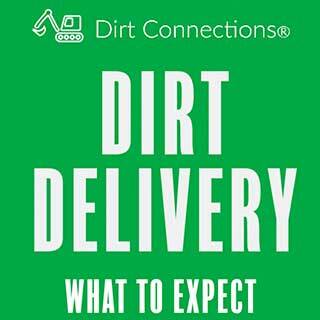 Depending on Dirt Connections for your fill dirt needs means you won’t have to worry about your dirt being delivered late or exceeding your budget. 1 Who Needs Fill Dirt? 6 How Much Dirt Do I Need? 7 Schedule Your Free Fill Dirt Delivery in Oakton, VA Today! Fill dirt is commonly used for development, remodeling, landscaping, and construction to provide flat foundational surfaces for construction of structures and roadways. Not just any dirt can be used as fill dirt, however. Ordinary and more accessible dirt found in the top layer of soil contains a high amount of organic material, which can lead to decomposition that causes the soil to collapse and breakdown. Fill dirt is generally drawn from the subsoil level, which lies just below topsoil. Subsoil contains little to no organic material, making it ideal for fill dirt. Every project has different demands, and how much fill dirt is needed depends on the requirements of the project. 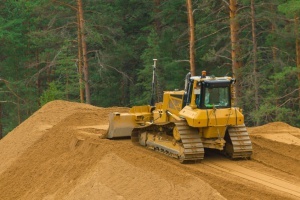 Dirt Connections is able to satisfy the fill dirt needs of any project and can deliver it right to your job site. We have successfully built a flawless reputation in the Northern Virginia area throughout our years of service, which includes areas in Oakton, VA and the surrounding cities and suburbs. If you have undertaken any size of construction project, you will most likely need fill dirt to provide the foundation. Our company exists to provide you with a cost-effective and convenient way to obtain quality fill dirt that ensure your project is a success. We do this by offering free Oakton, VA fill dirt delivery on order of ten loads or more. Delivery fees may be assessed in relation to job proximity, required materials, and specific customer demands, however. We are fully equipped to handle jobs of any size, and Dirt Connections would love to play an important role in your next project. Our company requires a full inspection of the area prior to order being filled to ensure safe delivery. This inspection is offered free of charge, and requires the owner or agent of the property to be present on the property and grant authorization beforehand. Those that are completing projects that require any level of excavation will most likely find themselves stuck with an excessive amount of dirt that they do not need. 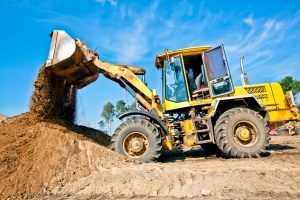 It is for this reason that we also offer convenient and efficient dirt removal services that excavate haul, and dump any remaining dirt leftover after a project’s completion. The use of fill dirt is an absolute necessity for those wanting to ensure a stable, secure, and durable foundation to their project that is made to last indefinitely. After our complimentary site inspection has occurred, Dirt Connections will be dependable for all of the fill dirt you need – when and where you need it. Once your project is ready, we are able to come and remove any overabundance of dirt you’re trying to get rid of. Our services are not only affordable, but very convenient for the individuals and businesses we serve, who don’t need anything else to worry about when it comes to planning and logistics. Before beginning a construction project that requires fill dirt, it’s best to take an accurate measurement of the area to determine the amount of fill dirt needed. Running out of dirt midway through a project can not only be an inconvenience, but lead to costly delays and setbacks as well. Measuring your construction area hinges on the shape of the project’s area. For a rectangular project, measure out its three length, width, and height dimensions, and convert the result into cubic inches. This is the most efficient way to do so, as it can easily be converted into the cubic yards that make up how it is usually sold. Follow this by multiplying the length by the width, and the result by the height. This final number is how many cubic inches of fill dirt is needed for the project. Circular areas need a little more math than rectangular ones. Measure the diameter of the area, and then its depth while recording each value in inches. The correct volume is found by multiplying pi (3.142) by the radius squared and then by its depth. Schedule Your Free Fill Dirt Delivery in Oakton, VA Today! No matter what your need is or what your project’s size is, we are always here to help see it through to completion in what ways we are able. Message us or give us a call today to discuss your project’s fill dirt needs, and to set up your site safety inspection to receive the convenience of affordable or potentially free Oakton, VA fill dirt delivery. One (1) Truckload is approximately 10 to 12 Cubic Yards. *You will need to pay for the delivery. The dirt is free!